Hi Friends! My name is Cameron and I’m excited to tell you about my recent trip to Uganda. I have so much to share! My family was fortunate enough to be able to take a trip to Nyaka this summer. I have been dreaming of going there since I was little. When I was seven, I heard from Jackson the story of orphans in Uganda who had lost their parents to AIDS and who wanted an education. I saw their pictures, fell in love with the children, and was determined to help them. Since then, I have done a fundraiser every year for Nyaka AIDS Orphans Project. I really could go on and on about how amazing the trip was, instead I decided to write about my top four takeaways from the trip. Number One: The children are incredibly grateful! When we arrived on the first day and walked through the gate to enter the school, hundreds of children came running up to hug us. I couldn’t keep my tears in. They were SO happy to see us. They know that YOU are supporting them with their education and they just want to show you their love. While visiting the school, there wasn’t a moment that my hand wasn’t being held and that arms weren’t being wrapped around me. Children asked me if I knew their sponsor and could tell them hello and thank you. The children were constantly showing their gratitude for the support that you give them. I wanted to make sure that you knew how exceptionally grateful they are for your support. SO – THANK YOU ALL! After receiving all that love, I KNEW that the NYAKA children valued their education. During the visit, I had a chance to teach each grade’s class with my family. The children are excited to learn and are very smart! I was really impressed with the not only the classrooms but also the quality teachers that Nyaka has. However, as we traveled from one school to the next, or around town, I saw poverty – extreme poverty. I saw kids who should have been in school during those school hours naked, plowing fields, digging through trash or following us around. I realized these were kids whose families (if they even had a family) couldn’t afford to send them to school. And the sad part was I realized that they really didn’t have a future. They would probably die at a young age of malnutrition or sickness. It reminded me how fortunate our NYAKA orphans are to have the community of US supporting them. It made me realize that without an education there is no future for these children. I got to meet two recent Nyaka graduates who were working in the Blue Lupin Library coffee shop while I was there. Their names were Shillah and Ronald. They are now in their freshman year of college. They wanted to make sure that we knew how much they valued their education. They knew that without their education, they wouldn’t be here. I now have a new sister and brother in Uganda. While I was there, I got a chance to visit every part of the area including all of the Nyaka facilities. I visited the Nyaka Primary school, the Secondary School, Kutumba, the Desire Farm, the Blue Lupin Library, the Mummy Drayton Health Clinic and also visited the Nyaka Grannies called “Mukaakas”. 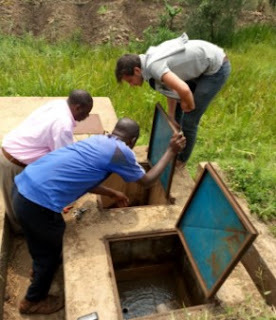 Each of these pieces of the Nyaka puzzle are transforming the community that they are in. The schools are providing education and food to the most needy orphans in the community. These children are growing up to be highly educated college graduates who are going to come back and start businesses and work in the local community - therefore transforming it. The library is providing internet and books to the community for free. The Mummy Drayton Health Clinic is not only providing healthcare to your orphans but is providing healthcare to the entire community. The Grannies, “Mukaakas”, are not only providing shelter and love to your orphans but are providing this to thousands of orphans all around the western part of Uganda. 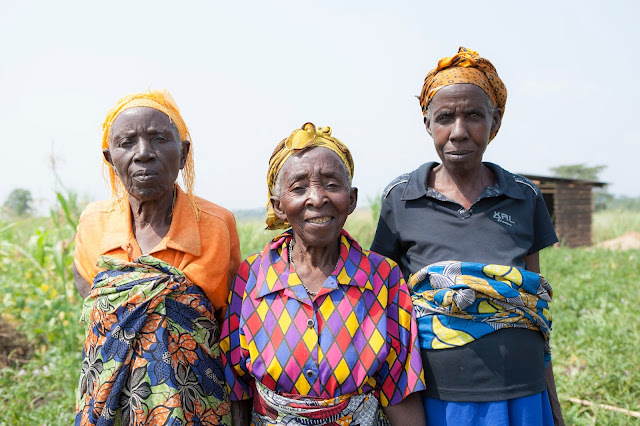 Through the micro-loans that Nyaka is giving the grannies, they are business-women selling goods and making a living on their own in a culture that is still male-dominated. I didn’t realize this until I had the chance to visit - the impact that Nyaka has on everyone in the community is so clearly evident. An intentionally, holistic approach to education, healthcare, and personal betterment, have a tangible positive effect on the entire community. They are doing everything right! Number 4: Your support is critical. 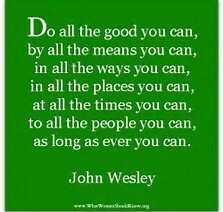 After seeing that a meal can cost $.30 and how inexpensive things are, I was amazed at how far our money can go there. When we visited the Nyaka Administrative offices in Kampala, I met the three Nyaka Accountants who told me thank you for my support through the years, and told me that EVERY PENNY that we give them is accounted for. As a result of my trip to Nyaka, my perspective has changed in regards to WANTS versus NEEDS. For a $1 to $2 a day a life can be changed…forever. The average American spends $3 each day or $1,100 a year on Starbucks! I would challenge all of us to consider sacrificing one of our small “wants” for one of their large “needs”. Can we think beyond ourselves to change the future of orphans in Uganda? As I mentioned earlier, every year since I was seven I’ve raised money for Nyaka. I can tell you it’s not that hard to ask people to support something that you’re passionate about! Would you consider possibly sponsoring a child, maybe you could have your whole family pitch in to sponsor one as a family? Maybe you decide to give a portion of your bonus to change the life of a child? Having seen it first hand I can tell you there is almost nothing that I wouldn’t give up or sacrifice to help these children. The term “life-changing” gets overused sometimes. People often talk about food, fashion or a technology device as being life changing. However, I believe the term-life changing should be reserved for an event or cause that moves someone to a deeper commitment to help others. This trip to Nyaka did exactly that for my family and me. We are constantly looking for new and bigger ways to support the organization that has touched our hearts in such an enormous way. I hope you join me supporting this life-changing. I still remember my first trip to Nyakagyezi in 2005. 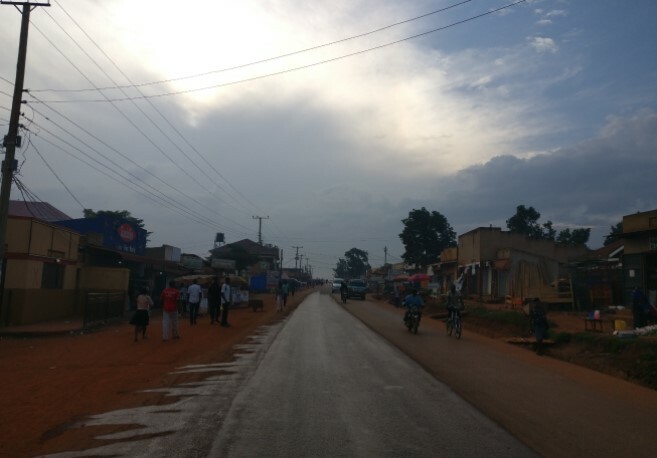 We’d spent eight hours traveling from Kampala, and it was dark when we reached the village. At that time the only electric light was the solar bulb shining from Nyaka School. When I returned this July, twelve years had passed, and there were lights shimmering in windows along the roadside. The village had electricity, and that wasn’t the only change. Nyaka School wasn’t finished when I visited the first time. Now it is a complete school with 7 primary grades. Like before, the students were happy to see visitors and greeted us with smiles and hugs. I was able to guest teach the P. 6-7 grades about infectious diseases, and found them well versed in the subject. The Nyaka pioneer class graduated in 2008. Many of the students whom I’d met before, had gone on to secondary school and even college. The student I’d sponsored was in Kampala getting a degree in Social Sciences. Another was working on a degree in Finance. A third was in Medical School. I could say it is impossible to believe, but I won’t say that. The Nyaka Project has proven itself over and over again. 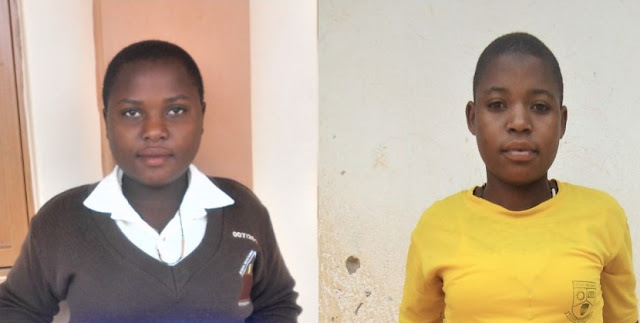 These students had no chance to receive education, but Nyaka helped them and they appreciate what they have been given. They have worked hard to succeed. I couldn’t be prouder of their accomplishments. 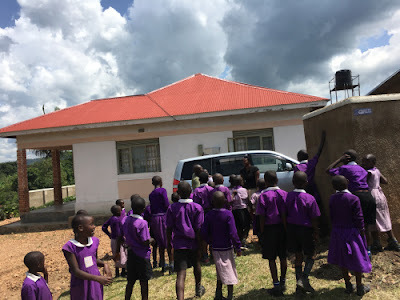 Kutamba Primary School wasn’t even a consideration when I visited in 2005; Jackson Kaguri was struggling to find funding to finish Nyaka School. 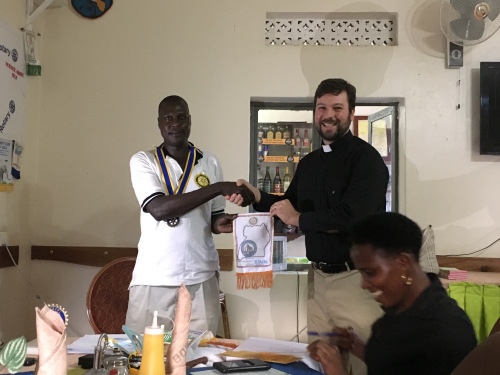 Inspired by an orphaned boy who walked over 50 miles looking for “the free school,” the program was blessed by generous donors from Colorado who raised enough to build Kutamba. It is an architectural wonder, constructed into the side of the hill. I was fortunate enough to visit the school first hand, be welcomed by the teachers and students with dances and songs, and guest teach the students. 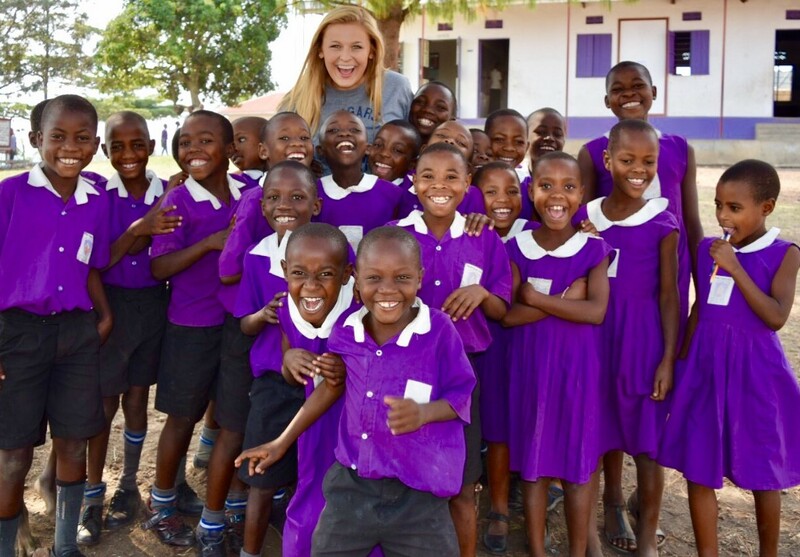 Like its sister school, Kutamba is a beacon of light to hundreds of children who had no chance for an education. As innovative as the primary schools are, the Nyaka Vocational Secondary School dwarfs everything in the surrounding area. It offers high-quality secondary education to not only the Nyaka Project students, it is open as a boarding for others as well. All the facilities are new and are being stocked with equipment. 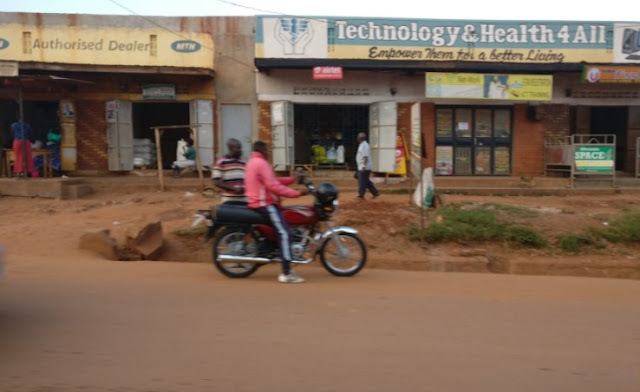 There is a computer lab and vocational training in bricklaying and tailoring, as well as traditional subjects. What impressed me the most was the Nyaka Young Tech Innovators Club, a group of girls creating robots, motion-sensor security systems and smart-phone APPS. Who would have guessed this was possible 12 years ago? Being a comprehensive project that helps the entire community, the schools were not the only new buildings. 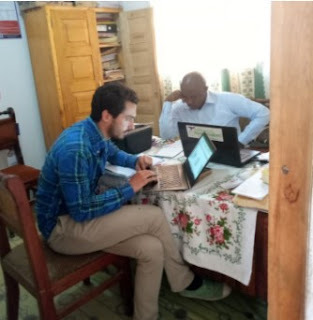 A guest house for interns and volunteers, the Blue Lupine Community Library, the Mummy Drayton School Clinic have also been added since my last visit. I was very impressed with the Granny Program. There are over 7,000 members now. Each group is run by local members that make their own decisions. They provide job training, grief counseling, microfinance loans and parenting classes. 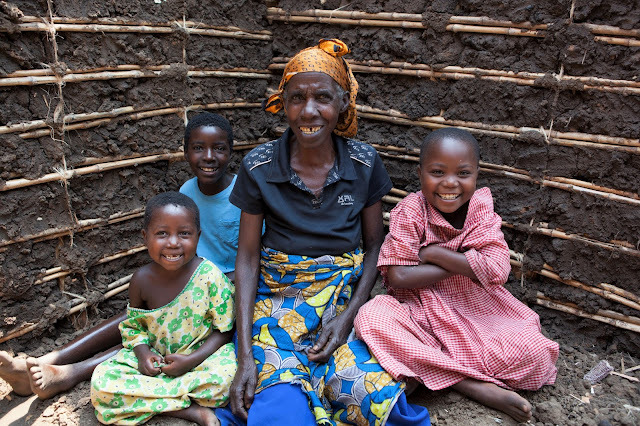 We met three grannies who were having new houses, kitchens and/or pit latrines built through the program. One granny was cooking inside the house which meant the entire family was exposed to wood smoke every evening. 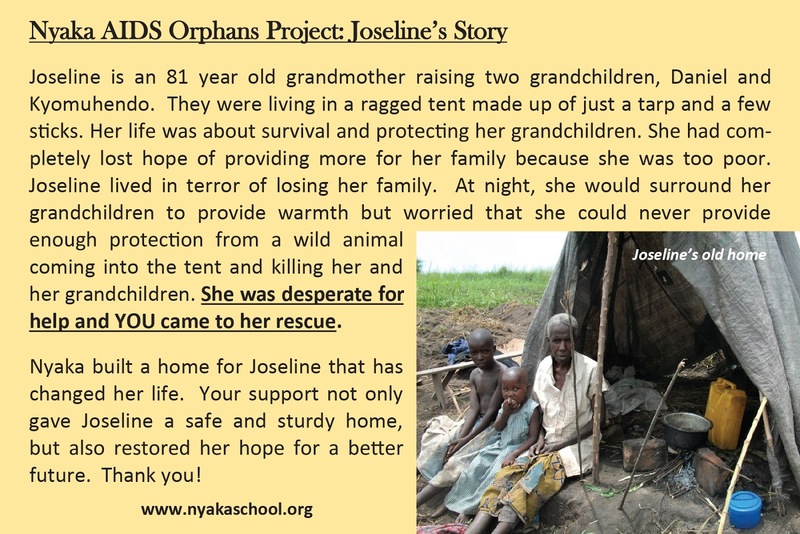 Another granny needed both a house and pit latrine. We attended a gathering of the Bwindi grannies. They greeted us with songs and dancing. After the meeting, they laid out their craft baskets and jewelry. There was too much to pick from. I found some gorgeous baskets to take home. Some of my best memories are visiting with the people. I made sure to know more Rukiga this trip, even though I should have learned more. Fortunately for me, Uganda’s state language is English, so I was able to speak to the older students without problems. They stopped by to visit on several occasions. I also visited with the grandparents and families of some of the students, which involved treks down the mountainside to their farms and back up again. Twice I visited with Teacher Freda. She came out of retirement to help get Nyaka School up and running and fostered several orphans. She is such a generous, special woman, I cannot speak more highly of her. 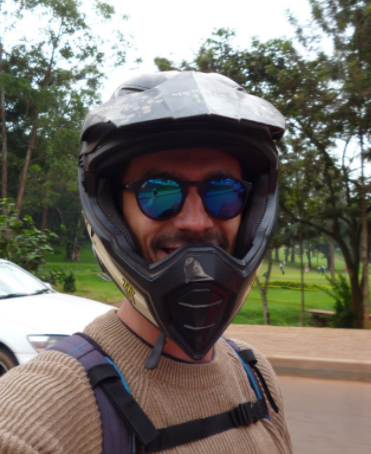 Two weeks in Uganda went too fast, and before I knew it, I was on the plane flying back home. I tell myself I’ll go back again, and next time it won’t be 12 years. 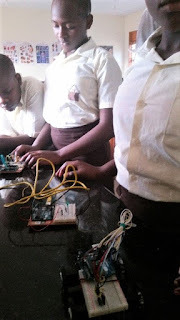 The Nyaka Young Tech Innovators Club is an up and coming club at Nyaka Vocational Secondary School (NVSS). It’s a team of 5 girls, ages 13 to 15, who started the club in July 2016 because they had an interest in technology. 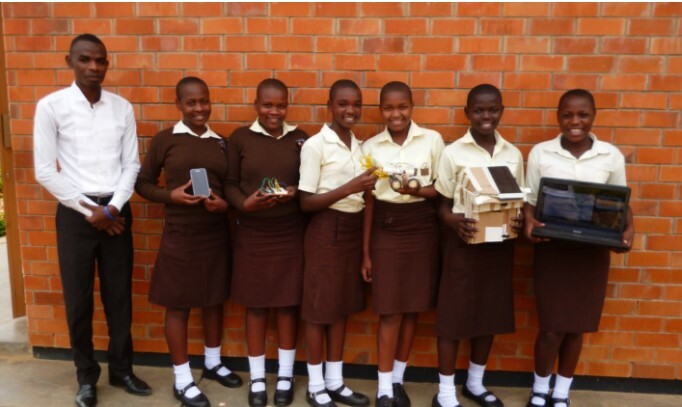 Ruth, Primah, Uditah, Immaculate, and Shamim, founded the Nyaka Young Innovators Club on the belief that, “To improve African Education, focus on Technology and Innovation”. They want to accumulate knowledge and skills to have the opportunity to develop their own solutions to local problems. At the time they formed the club, they didn’t have any knowledge about robotics and computer programming but said what they did have was ideas. The club meets every day to work on projects and pitch ideas. 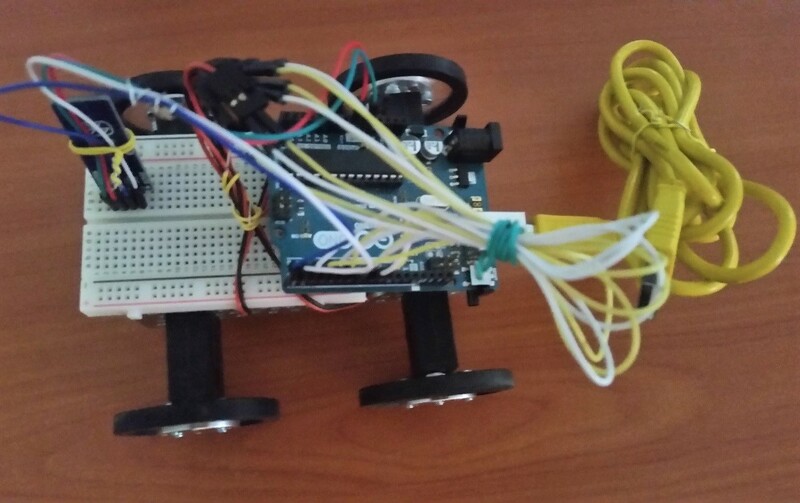 A recent project they finished is a wirelessly controlled robot. The robot can move around in different directions and be controlled with a smartphone, computer, or tablet. The club is looking forward to adding other features like a camera, temperature sensor, ultrasonic sensors and making it more powerful to increase the speed.The girls are also working on an app called the Patient Care App (PCA), which will help remind people when it is time to take their medications or make a doctor’s appointment. These young innovators are working towards improving the well-being of people through the use of technology to solve their most pressing challenges. Thank you for building them a school that can give them access to this type of technology. Without YOU, these girls wouldn’t have the chance to build their ideas and dreams! The 2017 school year is underway in Uganda and your students have settled in nicely. The first day of school officially kicked off on February 6th. This year, 768 students from nursery school through university are enrolled, thanks to your support. The nursery students were really excited to receive their brand new school uniforms and shoes. This was a special day for them because it marked the beginning of their academic journey. It was also a big day for students starting their first year of secondary school. They received supplies for their dormitories which included items like toiletries, jerry cans, sheets, pillows and mattresses. These supplies seem like everyday necessities, but for many of the students the night of February 6th was the first time they ever slept on a mattress. Your students are looking forward to a great year thank you for making it possible for them! Pastor Andrew Pomerville is the senior pastor at The Peoples Church of East Lansing, MI. 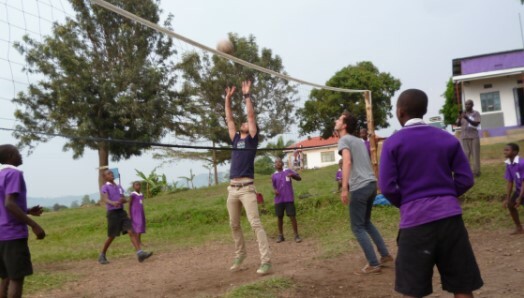 In December 2016 he visited Nyaka AIDS Orphans Project in Uganda for the 2nd time! Please enjoy one of this blog posts from his visit and follow him to read more about the experience HERE. My head is spinning. So much to process and so little time to sit and put it all together. This has been an outstanding past two weeks. Without hesitation or qualification, I can happily say our trip to Uganda to partner with the Nyaka AIDS Orphans Project was an overwhelming success. 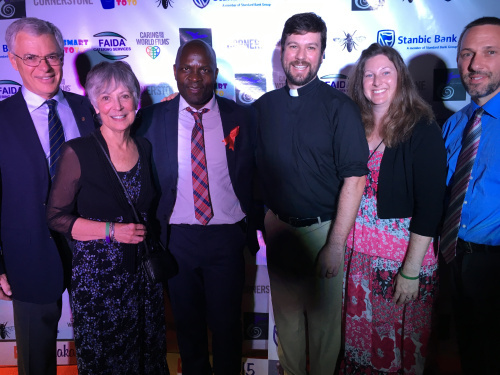 For 11 days, I traveled with my wife, Rachell, Kurt and Pete, Jamie Morris, and executive director and founder of Nyaka, Twesigye Jackson Kaguri. This was my second trip in the past two years to work with Nyaka in Uganda. The Peoples Church has supported this outstanding organization for nearly a decade, with the support beginning before I arrived in East Lansing as their pastor. Visited 3 schools and interacted with over 500 students and dozens of faculty and staff. Explored the two libraries and support facilities established by Nyaka. Assisted in the construction of a grandmother house that was paid for by generous members of The Peoples Church in honor of Dr. Curt Liechty, a friend and congregant who visited Nyaka in 2015 shortly before his unexpected passing. Attended the world premier of the independent film, “Cornerstone,” a groundbreaking documentary exploring the history, founding, and continuing excellence of Nyaka. 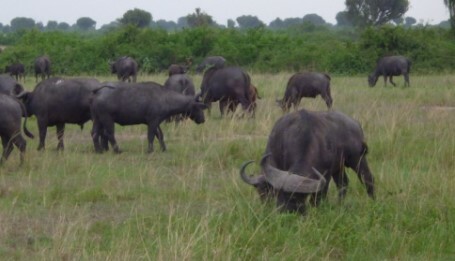 Took a day to visit Queen Elizabeth National Park, where we saw all manner of wildlife. Ate incredible Ugandan food with even better people in all parts of the country. There is so much more to this past trip but this gives a good start. I’ll take a look at each day and include photos and video for each day of the trip. Until then, thank you for your prayers while we were away and please know how much the children of Nyaka appreciate your continuing support. Peace be with you and thanks for reading.